What would you pay to protect the Great Barrier Reef? …the rainforests of the Amazon? … the glaciers of New Zealand? The environment offers us aesthetic beauty, scientific knowledge, natural resources, and ecosystem services. Living in Australia has motivated me to question how we truly value the environment. It is helpful to quantify its value in terms of dollars, although this is not a simple task. In Australia, many people are dedicated to decreasing their ecological footprint. It is not common for households to use clothing dryers. In addition, air conditioning, even in the summer, is not excessively used. In the United States, air conditioning is expected, demanded, and definitely used in excess. Could an increase in the price of electricity drive more Americans to reconsider when to turn on the air conditioning? The ecotourism industry can help us form an idea about what we are willing to pay to access the beauty of the environment. This would be interesting to compare to what we currently pay for the comfort of our air-conditioned homes, for example. According to the Australian Minister for the Environment, about 2 million people visit the Great Barrier Reef every year, which offers $5.6 billion to the economy in Australia with nearly 70,000 jobs. These numbers seem to justify the preservation of the reef for very practical reasons. They are also an underestimate of the actual value because they do not include the monetary value of the reef in relation to scientific research and ecosystem services. 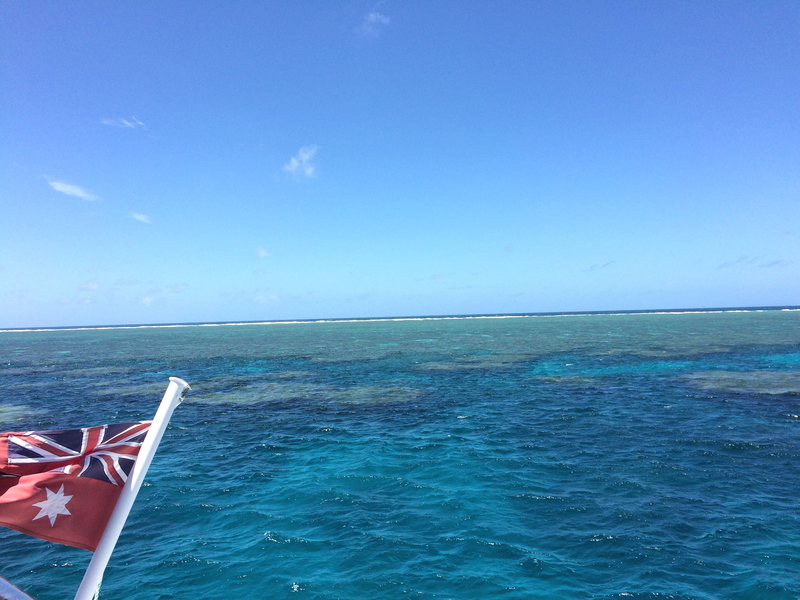 The diversity of the Great Barrier Reef is impressive. During my dive, I was able to swim with schools of bright yellow fish, encounter a few sharks, and look into the eyes of a couple sea turtles. How much did I pay for that opportunity? Well certainly, several hundred dollars when you consider the flight up to Cairns and the price of the dive itself. The cost was worth it to me, and to save the reef for my children would be worth much more. The Great Barrier Reef is currently a World Heritage sight, but its health is rapidly declining. It could soon find itself on the List of World Heritage in Danger. Tourism will suffer as nobody wants to travel thousands of miles to swim in polluted waters through bleached coral. Already, backpackers have told me that I should have skipped my dive there, in favor of the less polluted reef sites off the coast of Malaysia. Climate change is one of the most prominent causes for the decline in health. Coral bleaching was the most visible effect I saw during my dive. Overfishing, seabed dredging, deforestation, and agricultural nutrient pollution all contribute to the degradation of the reef. The purpose of seabed dredging is for coal ports, which will further exacerbate the problem by accelerating climate change with the additional release of greenhouse gases. While many Australians value the environment, evidently some Australians value coal more. Coal burning may provide an immediate economic benefit, but the long-term harm caused to the reef will certainly outweigh this benefit. It is not possible to convince all people to protect the environment for altruistic reasons. This is even true in the case of a country that I admire for its progressive and active work to protect the environment. Ultimately, the economic argument will always win. If we can calculate the economic value, then perhaps there is still a chance for the Great Barrier Reef.